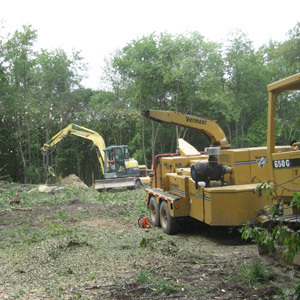 Land clearing and removing trees from property, along with site preparation, requires experience and knowledge for a safe, professional result. With over 24 years of experience and a proven safety record, Stecko Contracting, LLC has both the knowledge, and expertise to ready your site for a myriad of needs. Jason Stecko and his experienced crew will work closely with you to determine the best method suited to clearing and preparing your site, whether it’s for new construction, a driveway, or other plans for your undeveloped land. For a free estimate, call us today at 724-527-7442. Mechanical Felling, which involve cutting or pushing over trees and removing them from your property. Forestry Mulching shreds trees and brush where they stand. Stump Removal by grinding or digging. Chipping trees and brush for fast results. 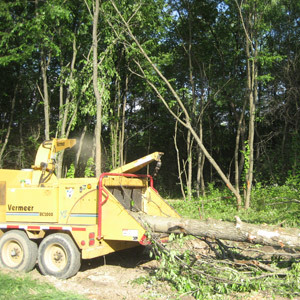 The last method, mulching, leaves behind mulch that can be used for riding and walking trails, but can also be used for any type of land clearing. It often requires less equipment and can cut down on land erosion. Learn more on our Stump Removal page. 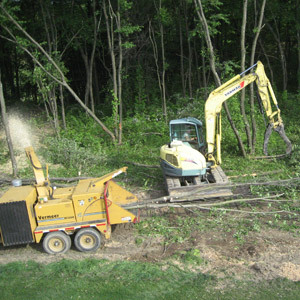 In addition to clearing your land, Stecko Contracting, LLC processes downed trees using stump grinders, chippers, and forestry mowers. We also do grubbing to remove all unwanted roots under the surface. If you don’t see your project listed here don’t worry. 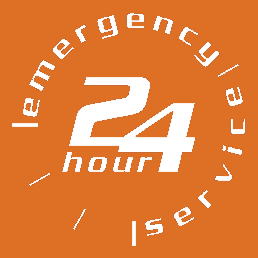 A quick call to 724-527-7442 connects you to our expert staff who will answer all of your questions.